The value of each cryptocurrency is somehow unpredictable. Sometimes they are skyrocketing, other times they are dropping. Nevertheless, there is no doubt that they are changing the financial world. Currently, there are 1172 cryptocurrencies available to be bought and sold on the market. With the list continuously growing, people are finding it more difficult to choose where to invest. But if investment should be based on today’s market share and performance, then here are the top 10 cryptocurrencies in 2017 to consider. Bitcoin isn’t only the first to start the trend of virtual asset but also the first on the list of top performing decentralized digital currency since 2009. Its market capitalization is already $137,998,455,449 with a price of $8,260.34. 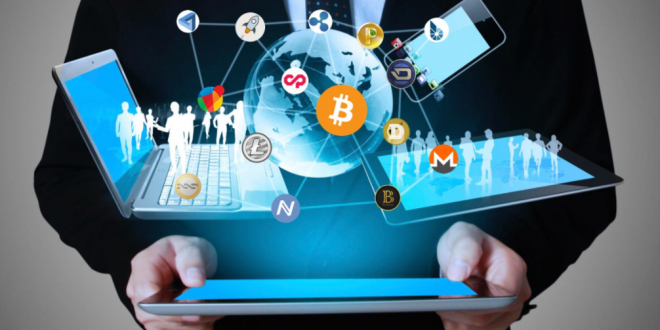 It is perhaps the most successful cryptocurrency because it is the most accepted across the world. Ethereum came later on the scene but has always been in tight competition with Bitcoin. But Ethereum is built to help developers create and run distributed applications. In other words, it is focused on facilitating smart contracts and applications using its own platform. The market cap of Ether as of today is $36,763,977,941 and its price is $383.38. Ripple was launched in 2013 as a cryptocurrency for a platform of an open-source system of payment, which is also called Ripple. Today, it has a market cap of $9,235,462,150 and a price of $0.239119. It has been expanding its territory and breaking boundaries by partnering with banks across the world so people can send money to anyone easier. Like Bitcoin, Litecoin is generated by mining. But compared to the first ever cryptocurrency, this one has faster block generation so it can handle a large number of transactions at a time. Its market cap is $3,892,009,138. Meanwhile, 1 Litecoin costs around $72.14. Using Dash virtual currency, people can do an instant and private transaction online or in-store. Since its launching 3 years ago, its market cap has grown to $4,423,593,776. Its price can go really high in just a matter of days. Right now, 1 Dash costs $574.14. Monero is also an open-source cryptocurrency, but its privacy oriented is somehow better than the others. It leverages in stealth or secret addresses and ring signatures to hide the identity of their clients. Its market cap is $2,560,008,326 and its price is at $166.37. If Bitcoin and other cryptocurrencies have blockchain, IOTA utilizes Tangle, which is a Directed Acyclic Graph. It answers two of the problems of the blockchain which are making and validating transactions. This November, IOTA has a market capitalization that is around $2,465,921,440 and a price of $0.887172. NEO is China’s Ethereum that uses the blockchain technology, as well as a digital identity for digitizing assets and automating them. It was meant to improve on Ethereum, focusing more on security. The market capitalization of NEO is $2,354,436,500 while its price is $36.22. NEM was just launched last March 2015, but it is no doubt one of the most promising in the top 10 cryptocurrencies in 2017. From $44,989,830, the market cap of NEM escalate to $1,838,853,000. That is more than 127% increase. Its current price today is $0.204317. Last in the list of top 10 cryptocurrencies in 2017 is the Ethereum Classic which is another version of Ethereum. Its developers improved upon the blockchain’s to run with no downtime, censorship, and fraud.Its market cap is $1,760,197,353 with a current price of $18.02.